We’ve all heard the stories of cancelled gigs. It’s Lemmy’s health. I’m hoping for the best with many more albums from this outfit, but the chance seems real that the group may be hanging it up soon. I’d have to say that if this winds up being their swansong, they could do worse. It’s one of the best albums I’ve heard from them ever. At least it tends to stretch their sound more and yet remain consistently strong. When you get a Motörhead album, you pretty much know what you are going to get. That said, this one has a few surprises and lots of quality. They waste no time here. This powers out very heavy and is one of the most purely metal songs I’ve heard from Motörhead. It’s classic Motörhead, but on steroids. I love this power house jam. It’s got a bit of a groove, but is smoking hot hard rock at the same time. There are some interesting chord choices. 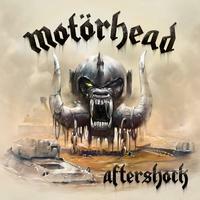 This is another new Motörhead classic. It feels in some ways like it might have fit on the Ace of Spades album. This is an awesome slower blues rocker. It’s got some tasty guitar soloing and just plain works really well. This is a rather unusual sound for Motörhead. It’s also a very effective one. It’s still heavy and it has a real classic rock sound. The powered up jam later is more along the lines of the heaviness we expect from Motörhead. I really love this song. A high energy, furious rocker, the riff that drives this one is among the fastest and most ferocious I’ve heard from Motörhead in a while. This is a real stomper. This sounds a lot like “Iron Fist” to me. Another killer Motörhead track, this isn’t a big change, but it’s great. It’s got more of a metal edge to it than a lot of Motörhead, particularly on the closing section. Now, this is a real change. 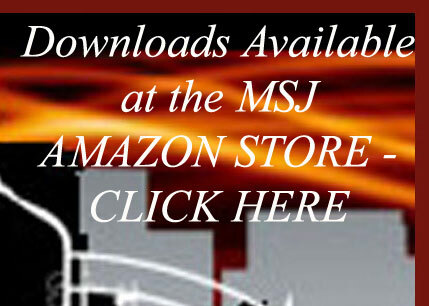 It comes in with a slower, bluesy classic rock sound. It’s not a ballad, but it’s much mellower than anything else here. A driving, raw rocker, this is another screamer. It’s makes me think of older Motörhead for sure. Another killer rocker, this is also pretty typical Motörhead. It’s also a cool tune. Now, this one brings more of a bluesy old-time rock and roll to the Motörhead sound. There is even some pounding piano in the mix. The bass really powers this. It’s another classic sounding high energy Motörhead song. The riff on this is classic. It’s got a real hard rock vibe to it and is one of the different tunes here. That riff makes me think of UFO a bit, but this is much heavier and trademark Motörhead. This is more of the straight rock and roll sound that Motörhead has always done at times. It’s not far removed from the kind of thing AC/DC does, but with Lemmy’s bass and voice making it trademark Motörhead. The closer is another screaming high energy Motörhead cut with a trademark sound.